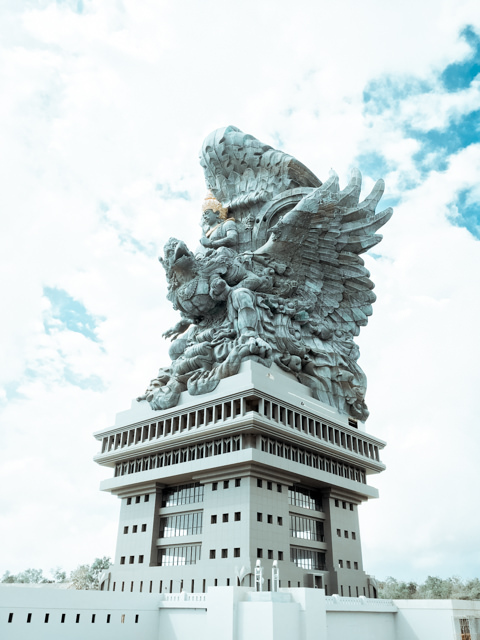 The Garuda Wisnu Kencana Statue is really amazing! 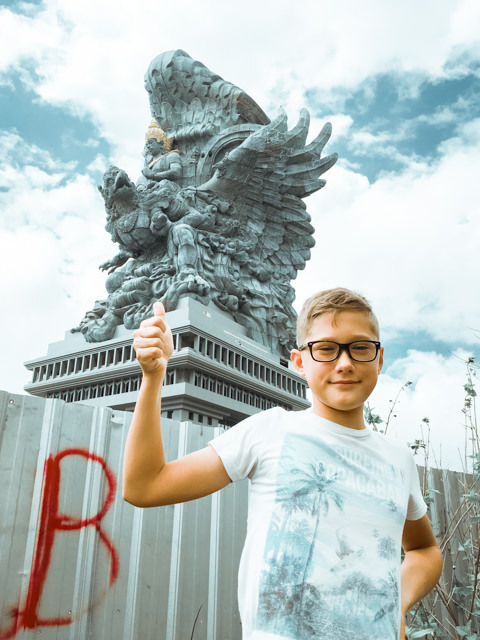 This morning, we decided to go to the GWK-Park for our Sunday-morning stroll. 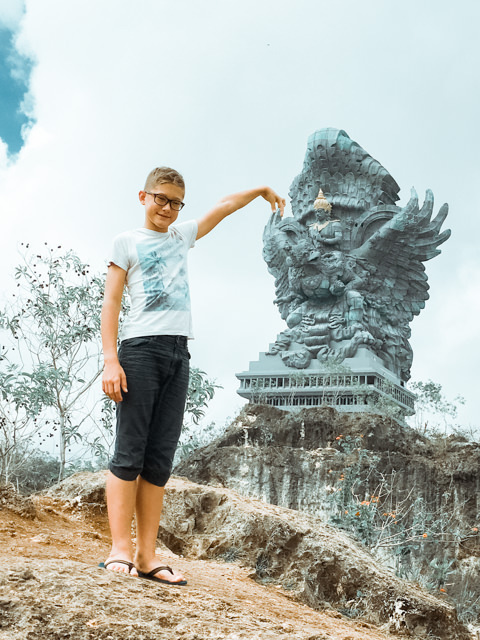 We knew that the Garuda Wisnu Kencana Statue had been completed and we wanted to see it from a closer spot (You can see it from almost all of southern Bali). 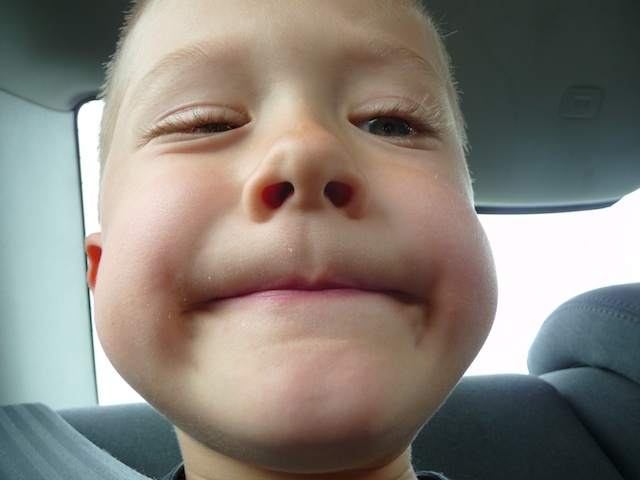 But it’s absolutely jaw-dropping big! 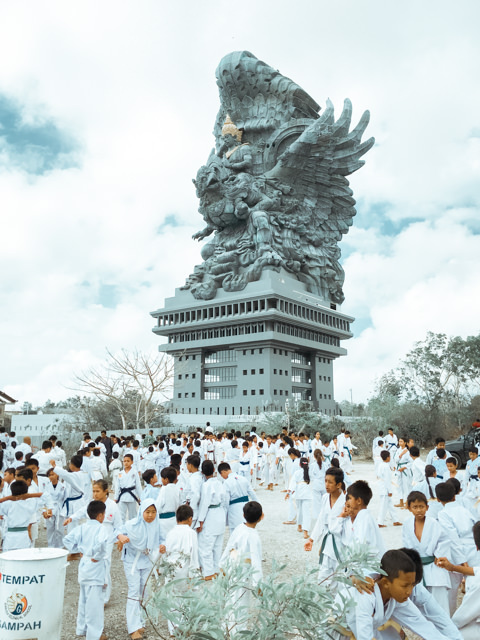 Did you know that the Statue of Liberty in the USA is 93 meters high (including her 47 m high pedestal = so the statue herself is only 46 meters tall) but the Garuda Wisnu Kencana Statue itself is 75 meters tall, 65 meters wide sitting atop a lofty pedestal that brings the total height of the monument to 121 meters, nearly 30 meters taller than the Statue of Liberty of the United States and currently the highest statue in all of Indonesia? While we were admiring the statue, suddenly a huge lot of kids and adults dressed in white dresses started streaming up the hill. 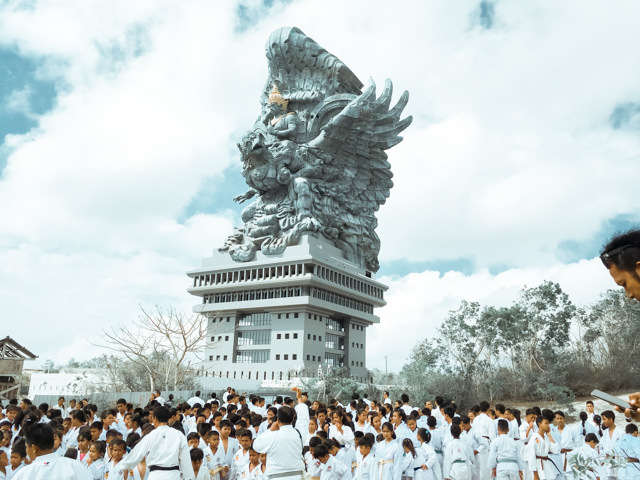 It was a meeting of all Karate Schools of Kabupaten Badung (Badung Regency) who wanted to take their pictures in front of the statue.